Trail of the Slugburger from Southern Foodways on Vimeo. No, a slugburger is not made with slugs. 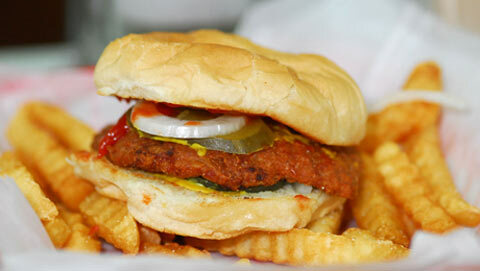 The slugburger is the hometown creation of Corinth, Mississippi. Although the iconic burger’s history is “kind of loose,” it allegedly started back in the depression when meat was scarce. The men and women of Corinth mixed fillers like soy beans in with the burger meat, to make the meat go farther. So, what’s with the name? The slugburger originally cost a nickel, and the nickel was called a “slug.” The rest is Mississippi history. 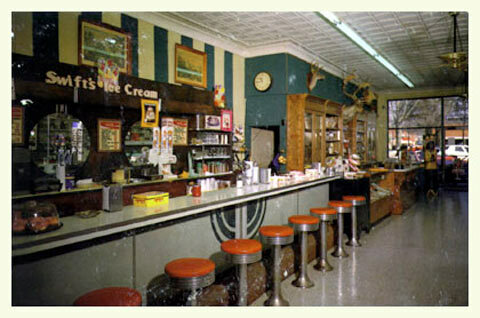 The Southern Foodways video above profiles Borroum’s, the oldest drug store in Mississippi, where the slugburger consists of a fried pork-based patty. “The center is softer because of the filler, and the exterior is crunchy. So, it’s kind of a play on texture—the crunchy and the creamy together,” says one Borroum’s customer. Watch the video above to learn about this decidedly-American regional burger specialty.